A grass-finished-beef farmer eliminates the need to buy hay after implementing holistic planned grazing. Her bottom line increases due to reduced costs. She plants shade trees to protect the cattle from the hot sun. 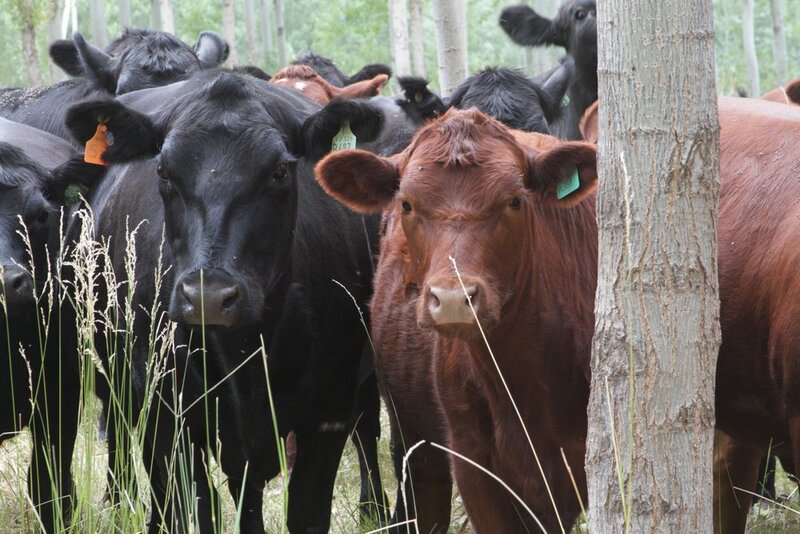 The cattle gain weight more quickly, and the timber serves as a savings account. If we plant 100 black locust trees today, and mill them into lumber in 2035, what is that net income worth to us in today’s dollars? These are the questions we must ask to de-risk agroforestry. We at Propagate Ventures are agroforestry economists. We run financial analyses for those that wish to add tree crops to farmland. We determine expected revenues, costs, net income, and return metrics to clarify which trees are worthwhile to plant on which farms. We de-risk agroforestry and then go on to link these opportunities with investment capital from actors that we must assume are acting in their own financial self-interest. We are focused on the long-term value creation that is adding trees to grazing land and adding mechanized fruit shrubs to row crop farms. We include this information not as an advertisement, but to elucidate our niche and make these concepts a bit more tangible. The idea that agroforestry must be financially viable on its own is a guiding North Star for Propagate. It is a compass that points toward an agriculture that is financially profitable and inherently yields positive externalities. We keep an eye on payments for ecosystem services. Extra revenue is great. However, we build financial models for goods and services that purely-self-interested people and corporations are willing to pay for. We should not expect private actors to pay for ecosystem services. We should give them the opportunity to create economic value that yields ecosystem services as positive externalities. NGOs, brands, and those that service the sector should fund the legal and physical infrastructure that will support these industries, and disseminate good information. The public-sector should move towards a single payer scheme, as a market for ecosystem services will continuously fail. We recently followed up on the Santa Catarina farms with project lead Dr. Joshua Farley. “What’s been interesting, 6 years later?” we asked. He told us that creating a municipal monopsony involves political will, and the local politicians were initially uninterested in supporting a region that swung toward the opposing party. The project leads highlighted the farms that were indeed politically aligned, which sent some energy into the flywheel. Agroecology spans political boundaries. Clean air, clean water, and financially successful farmers are neither inherently liberal nor conservative ideals. There is work to be done. What role will you play?